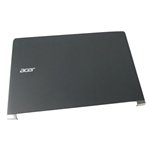 Description: New Acer laptop lcd back cover with WIFI antenna. This part is black in color with silver hinge cover caps. This back cover is for non-touchscreen version laptops only. 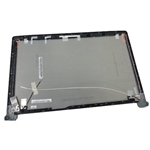 If your laptop has a touch screen, this is not the correct part.